Freaky Aces is a High Web Ventures Casino. It was established in 2017. At first we found the layout at Freaky Aces a bit messy but after a while we realized that it perhaps only were the freaky figures in the background that created a messy feeling. In the casino section you can choose between new games, slots, table, poker, arcade and jackpot games. We found one game called Weird Science, which has received quite good ratings. The developer behind the game is Habanero. The game is based on a freaky scientist who is experimenting with radioactive material and animals. If you get the mad and freaky scientist symbol on reel 1 and 5 you will trigger a Freespins feature. You can trigger up to 24 Freespins. 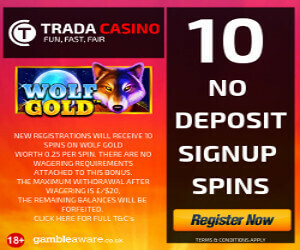 It is possible to retrigger the feature and receive even more Freespins. The game is quite simple, it has a funny sound and it really fits to the “Freak-theme”! A funny feature we noticed is that you can write “your success story, the strategy you used to win, or express your personal opinion of any game.” Send your story to support@freakyaces.com and they publish your story under the particular game. If you are lazy, you can download a Freaky Aces-app. It means that you can play straight from your computer and that you don’t need to use the browser or enter freakyaces.com. In the Jackpot section we found a couple of classic jackpot games, Mega Moolah Isis, Arabian Nights, Major Millions, Treasure Nile and Jackpot Rangoo. The poker section is ok and at the Live Casino you will find the classic Live-games. We could not find the popular Live-game Dreamcatcher but we found a similar game called Live Casino Money Wheel. The Live-casino is ok, perhaps not top-notch. You won’t find Lightning Roulette and a couple of other games that bigger Live Casinos offer. 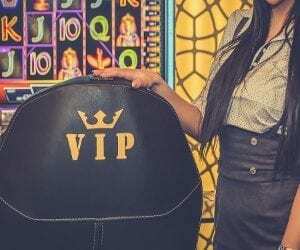 Since it is a High Web Venture Casino the VIP-club is good with lots of facilities. The Vip-club is called FreakyVIP at Freaky Aces. 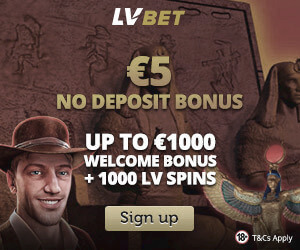 Right now you can find a 10% cashback for the Live Casino at the promotion section. Check it out to see ongoing promotions. There are over 1244 desktop and 762 mobile games to choose between at Freaky Aces and if you are a casinofreak looking for a Bonus, Freaky Aces wont make you disappointed. The welcomebonus is on a massive 200%. Be aware that you can only play games marked with (BONUS) with your Welcome bonus. 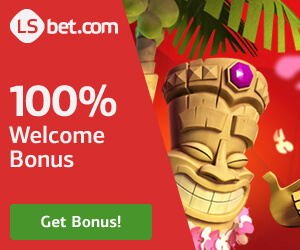 “It’s ok since the Bonus-games consist of great NetEnt games like Gonzo’s Quest,FairyTale Legends Hansel & Gretel, Piggy Riches and other good slots.” There is also a No Deposit Bonus on 50 Freespins that you can grab if you are from, Australia, Canada, Denmark, Finland, Germany, Ireland or Norway. chat: YES (Monday through Sunday from 5 AM to 9 PM (GMT). EUR, USD, CAD, NZD, AUD, SEK, NOK and DKK. France, Latvia, The Kingdom of the Netherlands (Netherlands), Curacao, Aruba, Bonaire, Saba, Statia and St Martin), Singapore, Sweden, Ukraine, Belarus, United Kingdom and United States. Sign up at Freaky Aces Casino and have a great time!